Queen’s is throwing open its doors to those interested in finding out more about the latest ground-breaking research being carried out at the University when it stages a special free research impact showcase in the Sir William Whitla Hall on Thursday 16 February 2017 (4pm-7pm). At the event the latest volume in The DNA of Innovation series will be launched, entitled Pioneering Research, Global Impact. The showcase provides an opportunity for visitors – young and not so young – to meet with and talk to the University’s researchers profiled in the new publication at their exhibition stands. 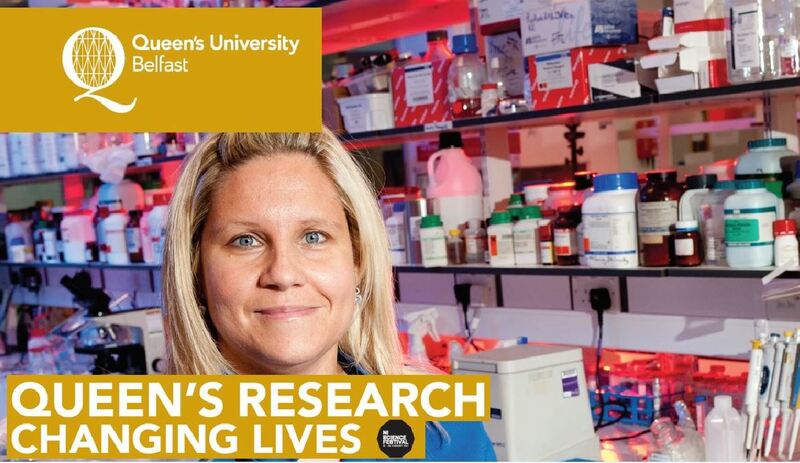 A number of short 5-minute presentations will also be delivered by some of Queen’s pioneering staff which will outline how research at the University is advancing knowledge and changing lives. Pioneering Research, Global Impact (Volume VI in the series), marks a significant milestone on the Queen’s journey: the establishment of the University’s four new interdisciplinary Global Research Institutes and six Pioneer Research Programmes. Building on solid foundations, they bring together researchers working across disciplines to address some of the greatest global challenges of our time. The 29 researchers profiled in this latest publication are working to ensure a healthy global population and an inclusive, secure and enriched society. They are tackling the familiar problems of disease, the new horizons of the fourth industrial revolution – and much more. This drop-in event is free and open to the public, including school children (aged 10+). It is also part of this year's NI Science Festival programme which runs from 16-26 February. Those wishing to attend are asked to register online ASAP to guarantee their place(s). The event opens with an exhibition and a chance to chat informally with researchers from 4pm-5pm. From 5pm-5.45pm a number of short case study presentations will be made on specific achievements in digital technology, food safety and international peace by: Professor Sir John McCanny, Director of the Institute of Electronics, Communications and Information Technology (ECIT) and the University’s Regius Professor; Professor Moira Dean from the Institute for Global Food Security; Professor Seán McLoone from the School of Electronics, Electrical Engineering and Computer Science and Dr Joanne Murphy from the Senator George J. Mitchell Institute for Global Peace, Security and Justice, and Queen’s Management School. Light refreshments and a further chance to enjoy the exhibition will also be available from 5.45pm-7pm. Further information on the researchers and the projects profiled in The DNA of Innovation series, and the impact of this work on our society, may be found by visiting our website. For further details of the event please contact Dolores Vischer, Public Engagement Office, Queen’s University Belfast, tel: +44 (0)28 9097 2568.